I made Cinnamoroll again today. 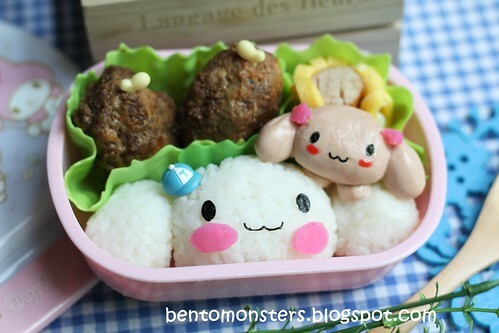 LT asked for him after the bento last Friday. He's relatively easy to do and I like him too, so I dun mind making him. lol. 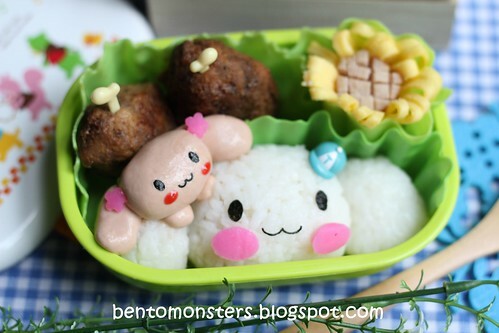 Bento for LT, same food as above. He did not eat the egg sheet but he did eat the kamaboko. :P And the egg sheet wrapping the sausage broke, so I covered up by placing Mocha there. 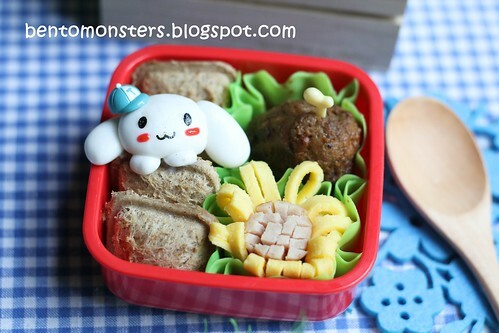 Bento for IT's recess, in the box are nutella sammies, fondant, sausage, egg sheet and meat patty. 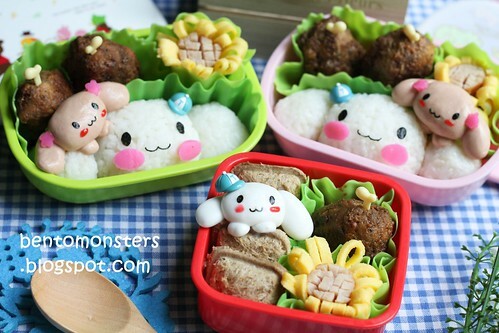 The 3 bentos that I made today. So adorable! My daughter would love these!